We manufacture twist 3 tier layer tiffin with good quality raw materials and regularly exporting to africa, middle east and asian countries. 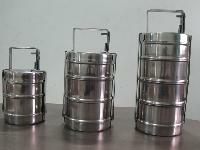 We are offering tiffin carriers. 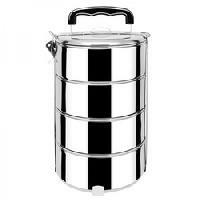 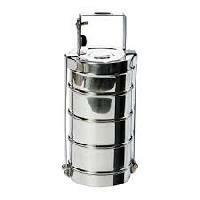 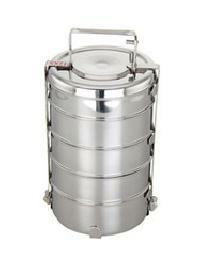 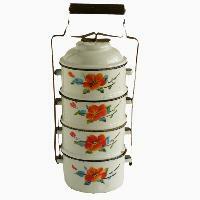 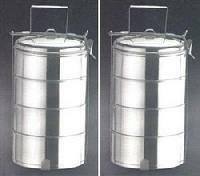 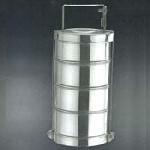 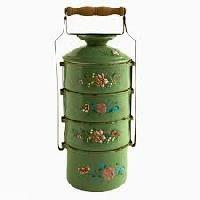 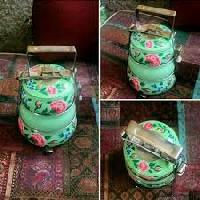 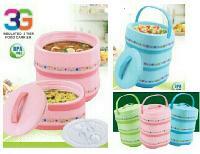 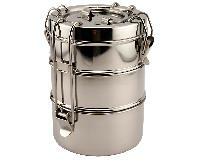 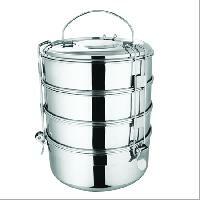 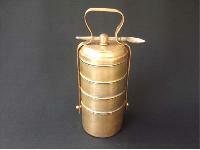 We are Offering Tiffin Carrier. 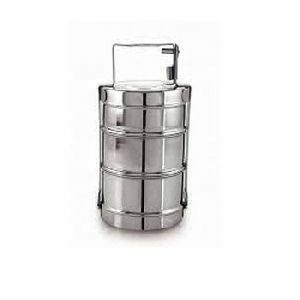 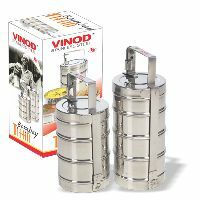 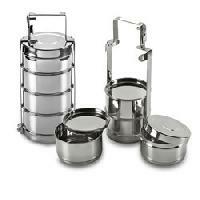 We are reckoned as the noted Supplier of Stainless Steel Lunch Boxes and Tiffin Carrier as we are capable of meeting the exact requirements of the buyers. 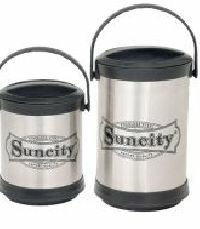 We give our patrons the choice to make payments online or offline. 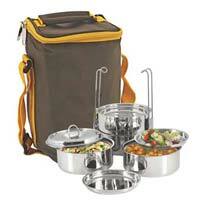 Our company understands the concerns of its customers. 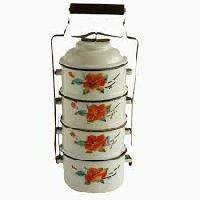 Therefore, we make sure our payment options are safe.